We’ve updated our antenatal and newborn screening information for public and professionals following a change to the vaccination schedule for babies. 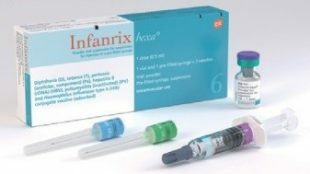 From this autumn, all babies will be offered a hexavalent (6 in 1) vaccine called Infanrix hexa® for their routine primary immunisations at 8, 12 and 16 weeks. This vaccine replaces the Pediacel® and InfanrixIPV+Hib® (DTaP/IPV+Hib) vaccines. As well as providing protection against diphtheria, tetanus, pertussis, polio and Hib (haemophilus influenza type b) it will also give babies protection against the hepatitis B virus. Babies born on or after 1 August will be offered Infanrix hexa® from late September/early October. The personal child health record (red book) has been updated to include this new vaccine and will be available shortly. We will update our professional resource cards soon. Babies born to mothers who have hepatitis B will continue to need additional monovalent hepatitis B vaccine (and if indicated, hepatitis B immunoglobulin) at birth (within 24 hours) and another vaccination at 4 weeks of age. For these babies, trusts can order a new booklet of insert pages for the red book free of charge. 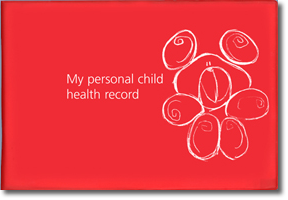 The full personal child health record can be ordered and paid for in the usual way. To order the new hepatitis B insert, contact Rebecca Ord at Harlow Printing on 0191 4969735 or by emailing rebeccao@harlowprinting.co.uk. You can read more information about the introduction of hexavalent vaccine on GOV.UK or by subscribing to the PHE Vaccine Update. NOTE: Translations for all screening leaflets will be updated as soon as possible. Healthcare professionals, in the interim, should utilise interpreter services to convey the changes to women. Does this mean infants to HBV positive women will continue to receive the accelerated vaccination schedule at birth, one and two mths with blood tests at 12 mths AND the new 6 in 1 vaccine at 8, 12 and 16 weeks? There is no change to the timing of the routine childhood immunisation schedule with the introduction of the hexavalent vaccine but babies born on or after 1 August 2017 will be offered Infanrix hexa® (DTaP/IPV/Hib/HepB) in place of pentavalent vaccine (DTaP/IPV/Hib) at 8, 12 and 16 weeks of age. The schedule has changed for the selective neonatal hepatitis B immunisation programme for babies born to hepatitis B infected mothers. These babies will still require a dose of monovalent vaccine immediately after birth (+/- immunoglobulin) and at 4 weeks of age and then follow the routine schedule with hexavalent vaccine (at 8, 12 and 16 weeks of age). They will require a further dose of monovalent hepatitis B vaccine at one year of age and should be tested to exclude infection at the same time.